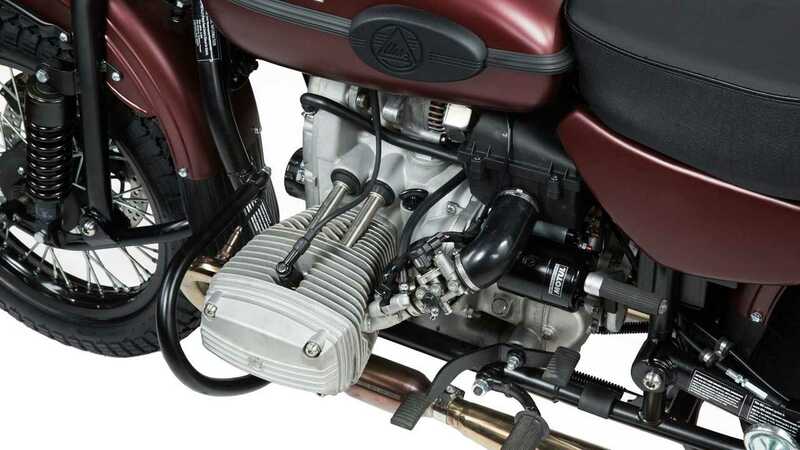 Ural has been building the same BMW-derived boxer engine since roughly the beginning of the Paleozoic Age. Starting out as a stout, German-engineered sidevalve 650, the venerable old boxer evolved throughout the decades at a staid and conservative rate. The engine improved incrementally throughout the years—a tweak here, better engineering there—but occasionally the engineers over in Irbit would get all hopped up on vodka and pirozhki and make a huge breakthrough in engine development. First, it was overhead valves, then an increase to 750ccs, outsourcing parts and machining, and even the adoption of fuel injection. For 2019, Ural has made yet another one of its great leaps forward with the introduction of a redesigned engine and upgraded fuel injection system. How great? Let's discuss. Back in October, I had the pleasure of hanging out at Ural HQ for a weekend touching bikes and talking company history. 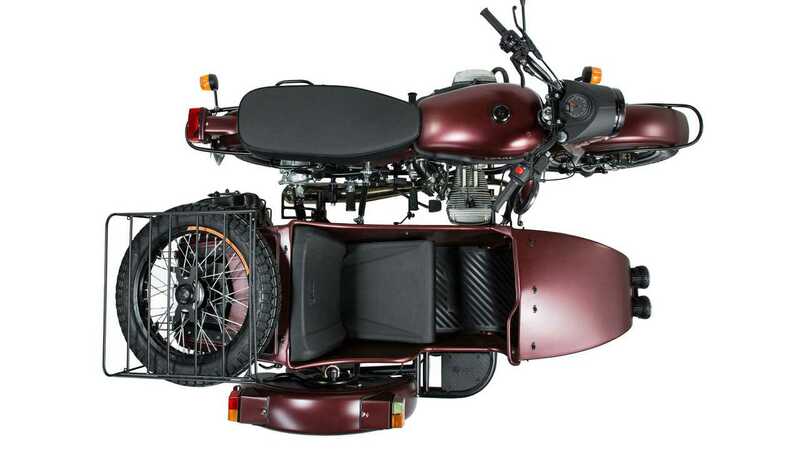 I was ostensibly there to ride the rad electric cT, but while I was poring over that bike's specs and planning my routes the Ural bigwigs sprung a second bike on me—a gorgeous new 2019 GearUp in satin burgundy. The plan was to spend most of my time with the electric bike then switch over for a quick flog on the GearUp. So, after a day and a half getting used to the electric cT I switched over to the GearUp for a late-afternoon ride through rural Washington. The first thing I noticed on pulling away from Ural HQ was the improved throttle response and low-end power. Well, noticed, might not be strong enough a word because on my way out of the parking lot I blipped the throttle, almost lost control, and had to grab a double fistful of brakes to avoid jumping a curb. See, I'm used to the old Urals', shall we say, leisurely acceleration and throttle response. 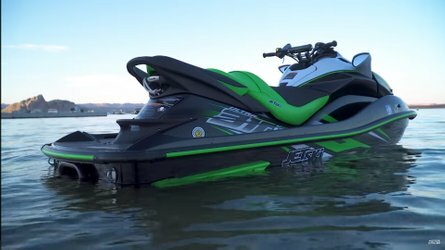 The new engine is peppier and the new throttle position sensor-equipped fuel system is snappy and responds instantly to input. A twist of the throttle is a demand rather than a suggestion with the new Urals, and I was not ready for that jelly. After regaining my composure, I made my way out of the office park and headed for a small town called Duvall and its famous tavern. My route took me along some pretty technically challenging roads, including one called Novelty Hill Road that was like riding part of Deal's Gap in North Carolina. All sharp corners, sweeping curves, and aggressive downhill attacks. The Ural was flawless on this leg of the trip. On older bikes—my experience is primarily with 2015-2018 GearUps—I could never find the right gear in the four-speed gearbox for work like this. I was either lugging the engine or stressing it out trying to wring all the power out of it on hills and in corners. With the 2019 engine, I was always in the right gear. I did most of the ride in second and third, and the bike pulled up those hills like a freight train and accelerated out of corners like, well, like a modern motorcycle. Apparently, the redesigned top end and more efficient fuel system added a handful of ponies to the engine—somewhere between 2-5 is what I was told—and it shows. A three or four horsepower increase may not sound like much, but in the Ural mill, it means the difference between puttering away from a stoplight or out of a corner and accelerating quickly and confidently. I had an absolute blast flogging the GearUp through the sweepers and hairpins, hanging out over the saddle and riding right to the edge of the bike's capabilities and the tires' grip. 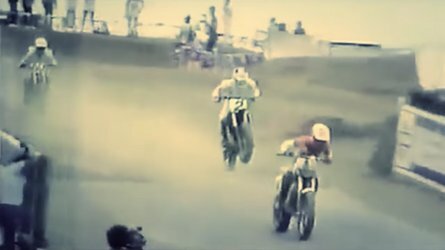 I couldn't, or wouldn't, do this kind of writing with the older bikes because I just didn't trust their ability to get out of trouble if I got us into it. 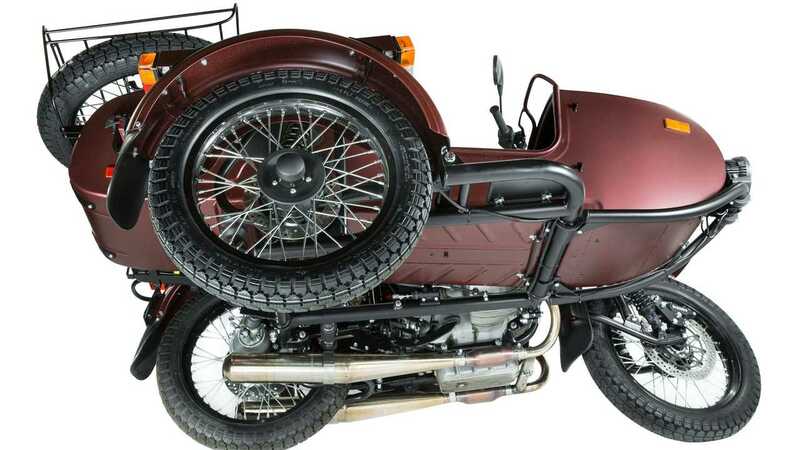 As much as I love Urals, those older bikes couldn't get out of their own way thanks to the weird physical effects of the sidecar—yaw, momentum, etc.—the weight of that million-pound flywheel, and the languid fuel delivery system. These new bikes though? With the new, more powerful engines? Absolutely. I trusted the 2019 model more than any of the older bikes, and it rewarded me with a fantastic ride. Eventually, I got out to Duvall, a cute little town of around 8,000 people on the banks of the Snoqualmie River. By the time I got out there, the sun was already going down and I wasn't really feeling dinner at the tavern, so I fueled up, took a spin around town, and split. Just outside of town on the other side of the river was a corn maze/pumpkin patch so I stopped in for some hot apple cider and some low-key harvest festivities. I took the long way back to HQ, during which I thrashed the 2019 all the way home like it owed me money. It never hesitated, never let me down, and always had the power I needed when I needed it. Once back at HQ, I debriefed with Company bigwigs for a bit then headed back to my hotel for Indian food and monster movies. So, is the 2019 Ural model lineup a good improvement over previous models? No. The 2019 Ural model lineup is a great improvement over previous models. Tremendous, even. These aren't your granddad's Urals. Hell, they're not even last year's Urals. It's amazing what a handful of top-end modifications—largely developed to improve cooling and longevity, mind you—, a couple extra ponies, and a smarter fuel injection system did for the new Urals. They're faster (well, for various metrics of fast, they're still Urals), quicker off the line, and more responsive. 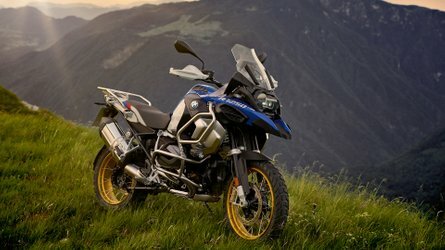 They are, by far, the best bikes to come out of Irbit yet. Now, I know this sounds like a lot of breathless adulation and it kind of is, but here's the thing. 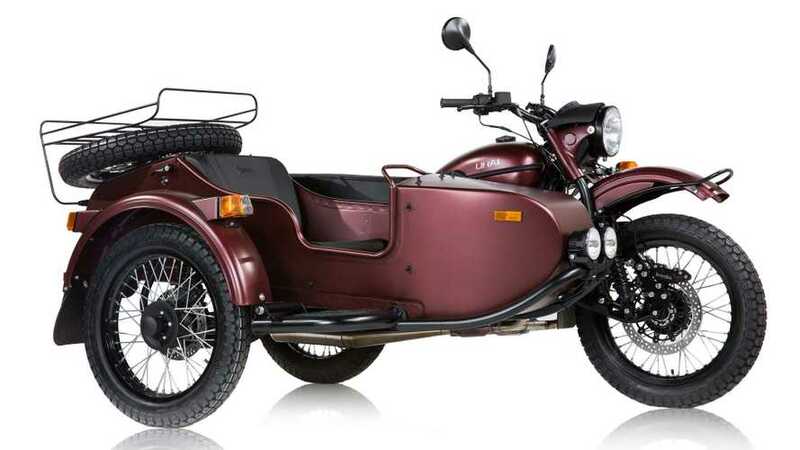 The new Urals are fantastic for what they are, i.e., old-school, Russian-made, personality-laden sidecar rigs. You don't buy a Ural for eye-watering top-end speed or luxurious highway cruising or Ninja-like agility. 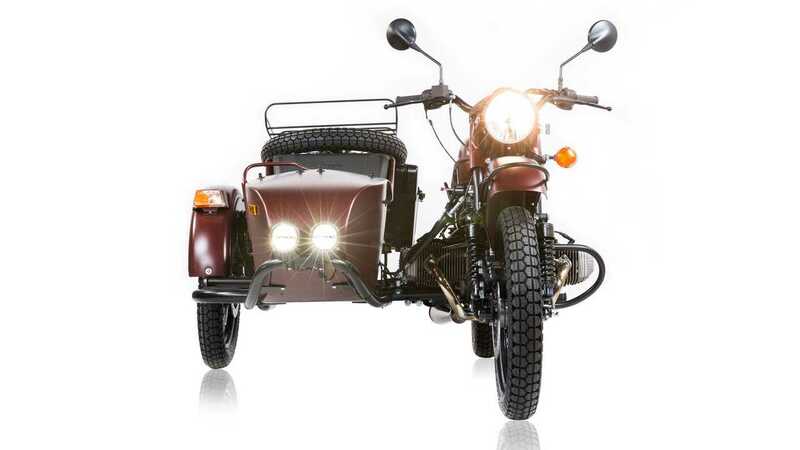 You buy a Ural for its essential Uralness, for the sidecar and the cool factor and for the ability to tell people you ride something most bike people have never heard of. You buy it for the style, and to get where you're going eventually while having an adventure along the way. 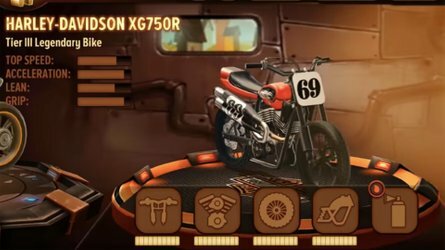 The upgraded engine and fuel system haven't changed the bikes, these modifications have simply enhanced them. 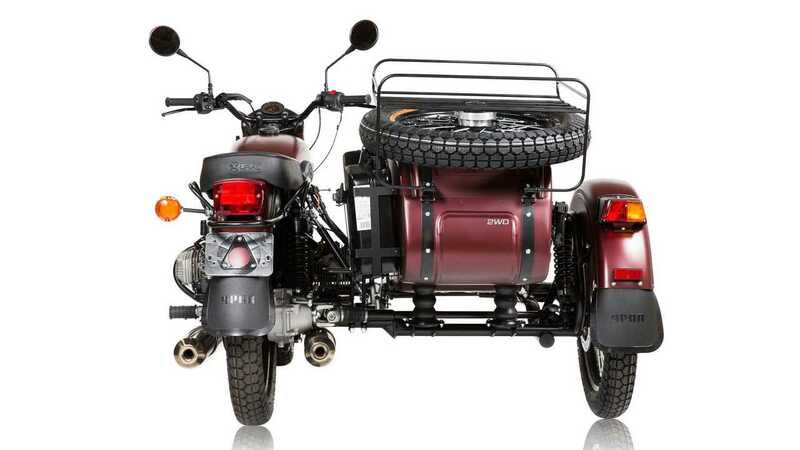 They've made the bikes a little more competent and a little more reliable while maintaining the bikes' character, which is exactly what you want Ural upgrades to do. Now, how about a fifth cog in that gearbox next time?